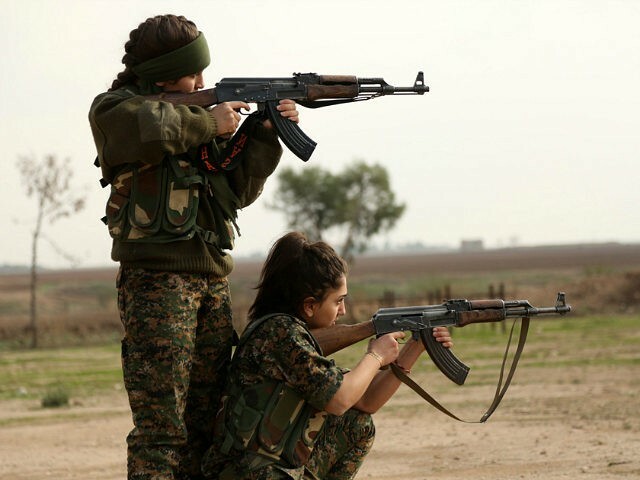 A Westerner fighting in Syria with the Kurdish Peoples’ Protection Units (YPG/YPJ) has accused Facebook of repeatedly censoring her posts updating the world on her fight against the Islamic State. Hanna Böhman is a volunteer with the YPJ, a force that will soon be armed by the United States to assist in their fight against ISIS in northern Syria. But despite their status as a vital U.S. ally against the Islamic State, Böhman says Facebook is unfairly censoring their content on behalf of Turkey. She accuses Facebook of removing one of her posts with little explanation. The post contained no graphic imagery — just a photo of a fellow militiaman’s funeral with no accompanying commentary. Böhman says she also received a 30-day posting block for publishing the image. Commenting to Breitbart News, Böhman said this is not new behaviour from Facebook. She, and other supporters of the Syrian Kurdish militia, allege that the social media company engages in draconian censorship against them in order to appease Turkey, a country that is bitterly opposed to the Syrian & Turkish Kurdish independence movement (Turkey enjoys friendly relations with the Kurdistan Regional Government of Iraq). Five out of the six items on the document’s “international compliance” section are specifically related to Turkey or the Kurds. 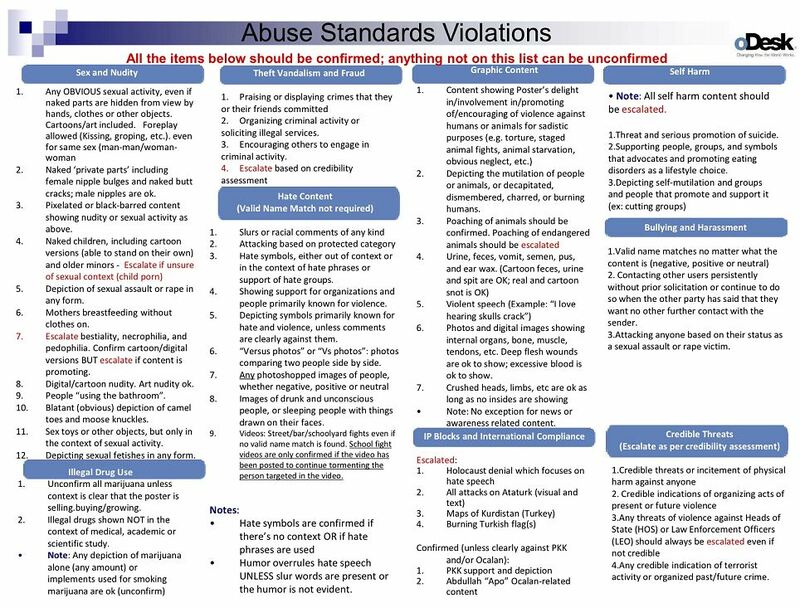 They include instructions to escalate any post on Facebook that include: maps of Kurdistan, the burning of the Turkish flag, and “all attacks (visual and text)” on Mustafa Kemal Atatürk, the founder of modern Turkey. The Kurdish Workers’ Party, or PKK, is U.S.-designated Marxist terrorist organization that has operated in Turkey since 1978, aiming at independence for the country’s 14 million ethnic Kurds. The Turkish government considers the PKK the same organization as the YPG/YPJ, while the United States cooperates with the YPG/YPJ on the ground in Syria. The two groups do not claim to be affiliated, but both support Kurdish independence. The Iraqi Kurdish Regional Government opposes both groups and supports Turkey, demanding the PKK leave northern Iraq. When Facebook was accused of censoring Syrian & Turkish Kurdish posts last summer, they said that it was in accordance with their ban on “terrorist content.” However, while the PKK is widely considered a terrorist organization, the YPJ and YPG Syrian Kurdish militias – of which Hanna Böhman is a part – are not. The picture Böhman posted is a funeral for a YPG member, not a PKK member. Indeed, the YPG is widely recognized as the most effective force currently fighting the Islamic State. Despite a deficit in military hardware and training, the YPG has done more than any other group in Syria to kill ISIS fighters and roll back the Islamic State’s frontiers. YPG-led forces, with the support of the United States, have now pushed ISIS back to the gates of their capital, Raqqa. Earlier today, the Trump administration announced that it would directly arm the Syrian Kurds. This has been described as a snub to Turkey, although Pentagon spokeswoman Dana W. White stressed that the U.S. was “keenly aware” of security risks faced by Turkey. Both the Obama and Trump administrations have continued to support the YPG/YPJ despite Turkey’s incessant pressure to abandon cooperation with them, as the relationship with the militia has proven fruitful for intelligence-gathering against ISIS on the group. The Kurdish militias also cooperate with Russia, sending their air force the coordinates of known Islamic State strongholds. The Rojava militia has also been exceptionally welcoming of Western volunteers like Böhman, and honors slain volunteers with large funerals and processions to which hundreds of locals attend. The YPG have carved out an autonomous Kurdish territory in the north of Syria. Known as Rojava, it is notable for its secularism, liberalism, and decentralized government — a stark contrast to the dictatorships and Islamic theocracies that surround it. Women are given equal representation in Rojava’s government, and have their own militia, the YPJ. Headscarves are rare. Facebook has yet to respond to Breitbart News’ request for comment.